'Why Don't You Try It? ': How The Oldest U.S. Female BMX Racer Broke Into The Sport Kittie Weston-Knauer and her son Max Knauer have spun bonding time into an extreme sport. 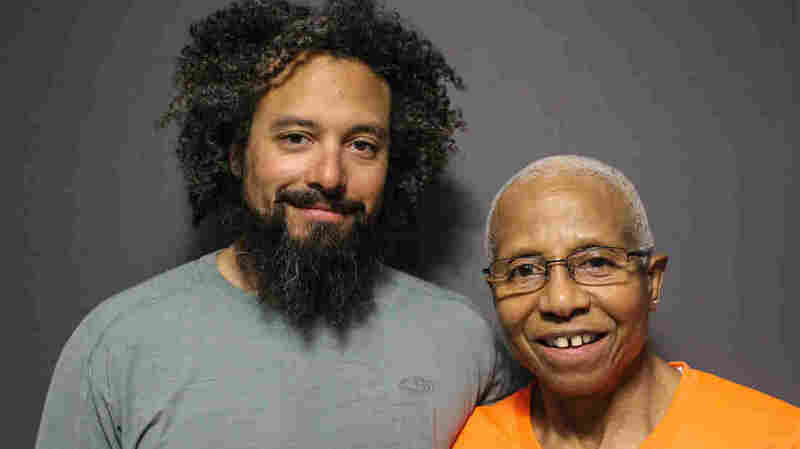 Thirty years ago, Max egged her on to try BMX racing; at 69, she's still pedaling in races all over the U.S.
"I was having a bad week racing and you were giving me pointers: 'You've gotta pedal! You've gotta keep pedaling!' 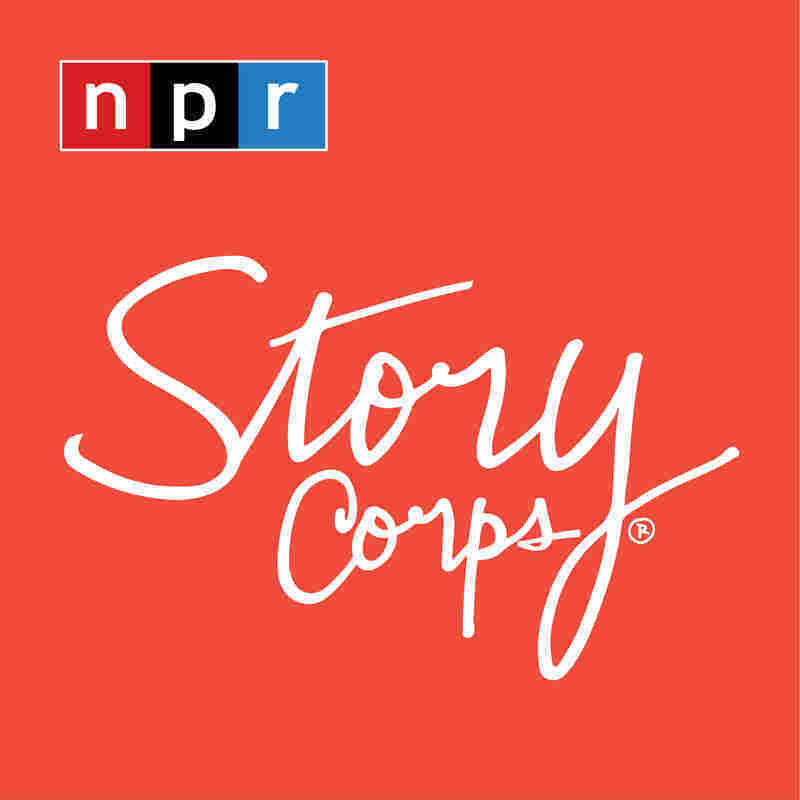 " he recalls in a StoryCorps conversation. "And at the time I was like: 'Well, if it looks so easy to you, then why don't you try it?' "
On Mother's Day 1988, Kittie, then 40, entered her first race. "I borrowed your gloves. I borrowed your helmet," she tells Max. "And I rode your bike. I was hanging on for dear life. I didn't exactly tear up the track either." "I said 'I told you so!' " Max says. "True, but I tell you what," she says. "I had a whole new respect for what you were out there doing. And the other thing I said was, "Well, hey, this is something I can do!' 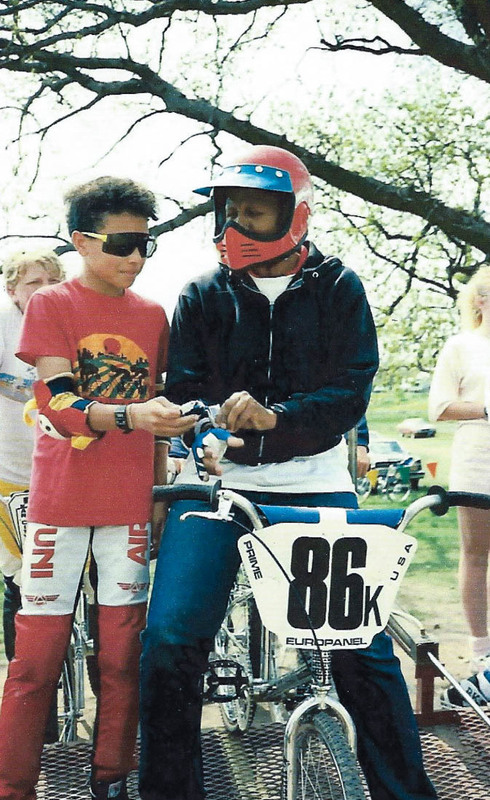 "
In a photo from 1988, Max Knauer gives his mother, Kittie Weston-Knauer, a hand as she prepares to start her first BMX race. "At first, I was a little embarrassed, I guess," Max admits. "But you know, after doing it a little while and we were traveling together, it was great. I thought it was really cool how other mothers really looked up to you." But, he says, he was concerned because BMX can be dangerous. "People always got hurt, break an arm, collarbone," he says. Max recalls when his mom broke her neck in a racing accident. "And then, seeing you in the hospital, it was pretty tough, especially considering the doctors saying 'Well, she might not walk again.' "
The injury left Kittie temporarily paralyzed from the shoulders down. "But I was very determined that I was going to ride again," she says. Kittie returned to the track six months after the accident. She says people are surprised she returned to racing after that. "And my answer is, 'Why not?' " she says. "As long as I can keep the two wheels on the ground, I'm good." Since the day she took her son's dare seriously, she hasn't backed down. "At my age, it is not about finishing first, second or third," she says. "It is about finishing. It is about being as competitive as I can and it is about pushing those in front of me to ride harder." Max has since retired from BMX racing, but Kittie continues to ride today, racing all over the country. "This sport, unlike any other sport, requires you to continue to be on your toes," she says, "and I don't mean just on the pedals — understanding that you're going to constantly be learning."